At annual BYU conference, presidency encourages Mormon women to embrace their potential. | Courtesy of The Church of Jesus Christ of Latter-day Saints Sister Eubank, Relief Society general presidency first counselor and director of LDS Charities, spots the camera as the women leaders sit on the stage at the BYU Women's Conference in Provo, Utah, May 4, 2017. Newly installed leaders of the LDS Church's all-female Relief Society encouraged Mormon women Friday to look beyond their perceived personal limitations to embrace their divinely ordained potential. 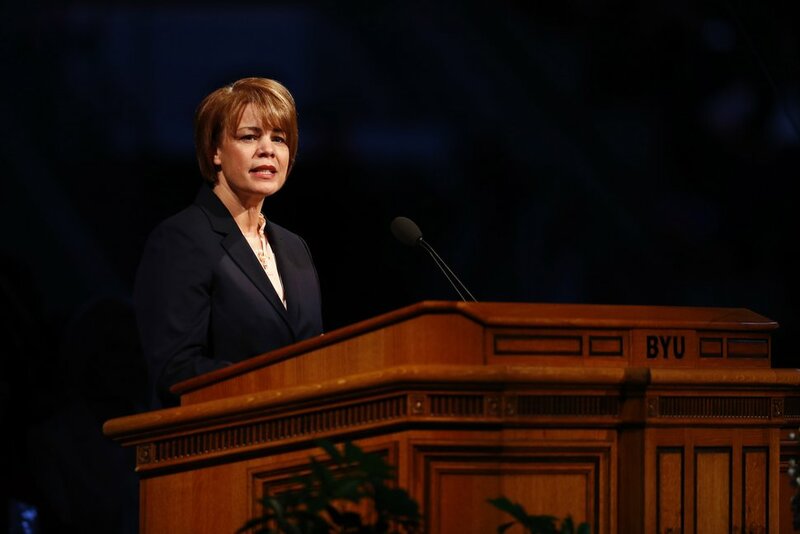 Speaking at Brigham Young University's annual Women's Conference in Provo, General President Jean B. Bingham acknowledged that she "felt a bit intimidated" when she was named earlier this year to head the 6 million-strong, 175-year-old global women's organization of The Church of Jesus Christ of Latter-day Saints. "Those of you who know me know my story is quite ordinary," she smiled. "Growing up, I was not the top student in any class. I cannot boast of any expert skills. I play the piano, but only enough to stumble through a hymn. "I love to visit art museums ... yet my artistic talents were limited to scribbling competing designs in a notebook," Bingham added. She also was not athletic, and while "I learned to sew a wearable skirt ... tailoring a suit was definitely beyond my ability. "I was never asked to the prom," Bingham continued. "I wasn't the president of anything. I was never one of the popular group ... in other words, I was just average." And, in that painful self-assessment, she knows she is not alone. "Have you ever felt ordinary, maybe even less than average?" Bingham asked. "You have probably experienced times of self doubt and discouragement [but] know that your Heavenly Father will provide all that you need to become extraordinary as a daughter of God." Within what Bingham called the "wonder of his heavenly economy" comes the potential that "every one of us can become spectacular because of [our] unique bundle of talents and abilities." In her comments, Eubank also confessed to "this little string of panic" in accepting her new church calling. "This is one of those pinch-me moments of my life," she said shortly after mounting the dais and taking in a sea of faces in the 19,000-seat Marriott Center. Eubank continues to direct the faith's LDS Charities worldwide humanitarian organization. Tack on her new Relief Society duties and other responsibilities, she said, and it's easy to feel overwhelmed. Still, Eubank said, she has learned that "when you can't give more, when you've gone beyond the ability to give, then sit still. Call on the Holy Ghost and angels will come to you. The Lord [will] open a path and show [you] what to do and what not to do." Aburto described Relief Society as the source of relationships with other faithful Mormon women that had sustained her through personal and spiritual challenges alike. The organization not only offers LDS women opportunities to be "active contributors and participants" in their faith's service to members and nonmembers alike, but it also "can be a safe haven for us"amid earthly ordeals, even while "helping prepare women for the blessings of eternal life." 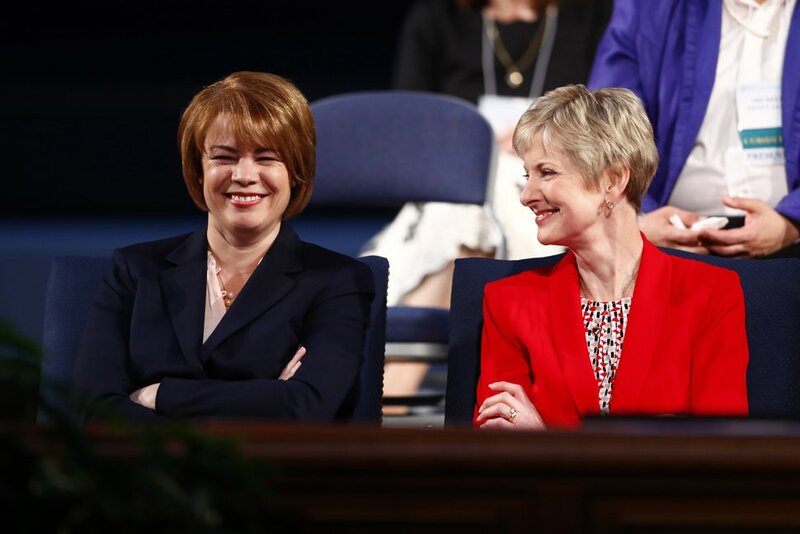 | Courtesy of The Church of Jesus Christ of Latter-day Saints Sister Sharon Eubank (left) and Sister Jean B. Bingham (right) of the Relief Society general presidency sit together at the opening of the BYU Women's Conference in Provo, Utah, May 4, 2017. | Courtesy of The Church of Jesus Christ of Latter-day Saints Sister Sharon Eubank, Relief Society general presidency first counselor and director of LDS Charities, delivers the keynote address at the BYU Women's Conference in Provo, Utah, May 4, 2017. 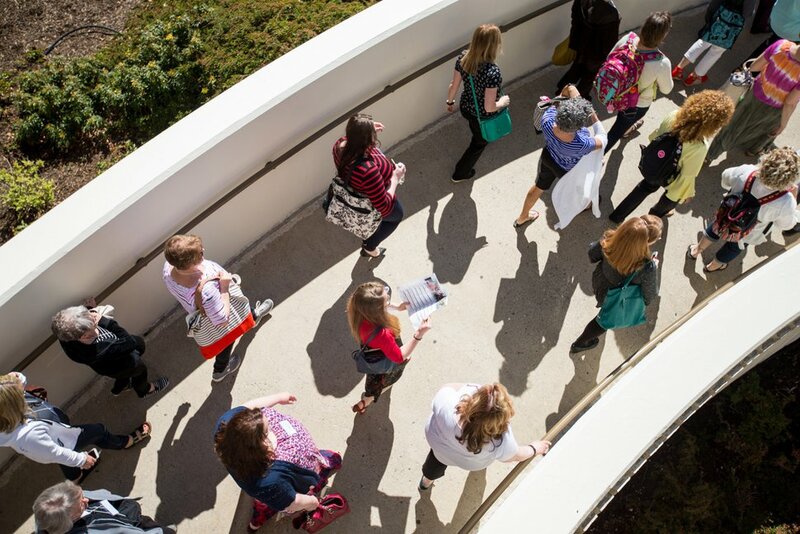 | Courtesy of The Church of Jesus Christ of Latter-day Saints Women make their way to the Marriott Center on the Brigham Young University campus in Provo, Utah, for the BYU Women's Conference, May 4, 2017. 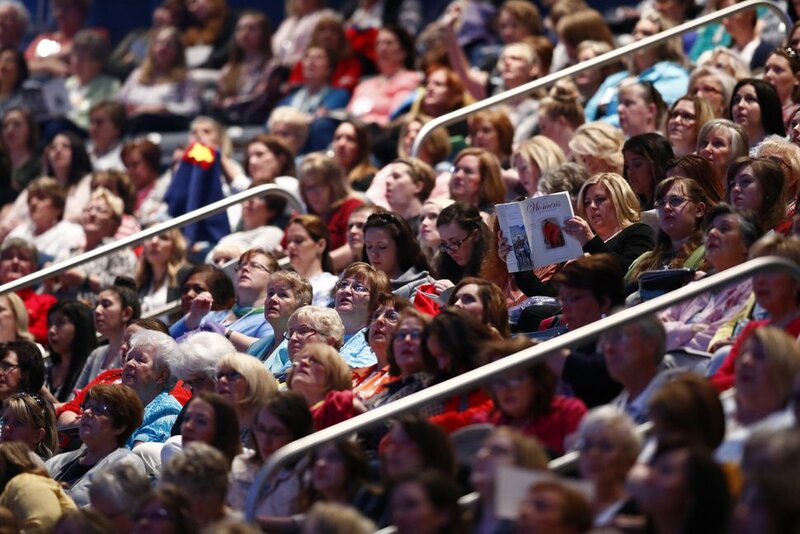 | Courtesy of The Church of Jesus Christ of Latter-day Saints A large crowd gathers inside the Marriott Center on the Brigham Young University campus in Provo, Utah, for the BYU Women's Conference, May 4, 2017. 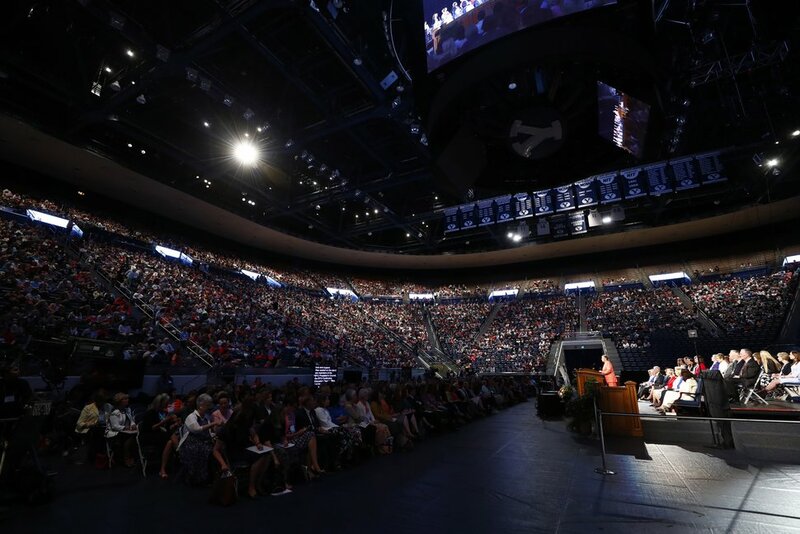 | Courtesy of The Church of Jesus Christ of Latter-day Saints Inside the Marriott Center at the opening of the BYU Women's Conference in Provo, Utah, May 4, 2017. 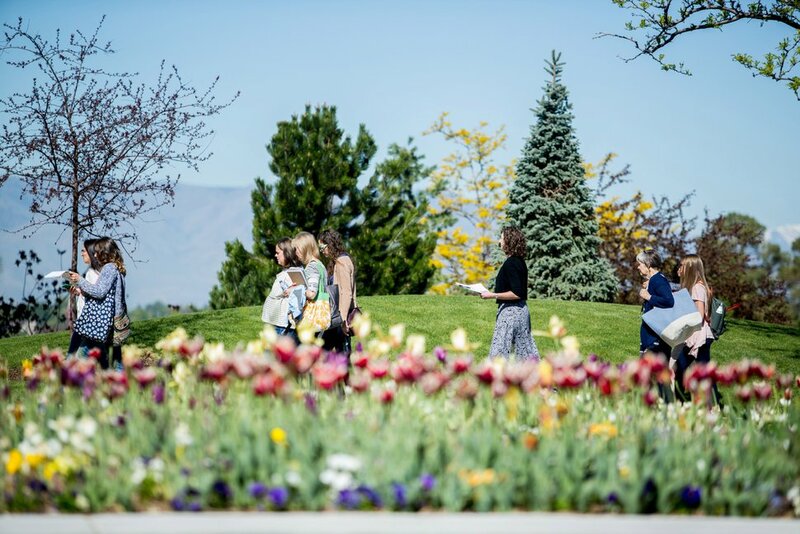 | Courtesy of The Church of Jesus Christ of Latter-day Saints Women enjoy the spring weather on the Brigham Young University campus in Provo, Utah, for the annual BYU Women's Conference, May 4, 2017. 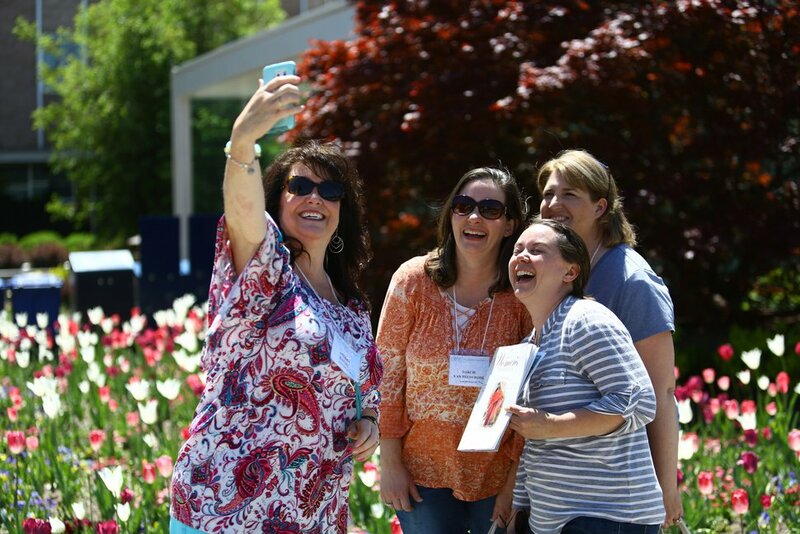 | Courtesy of The Church of Jesus Christ of Latter-day Saints A group of women take a selfie at the BYU Women's Conference in Provo, Utah, May 4, 2017.